The story of men’s jewelry is often overlooked as significant pieces in the jewelry world, but the history is just as full. A full dress suite by Stratton, an English jeweler. This set features rolled gold fronts and a mother of pearl inlay. 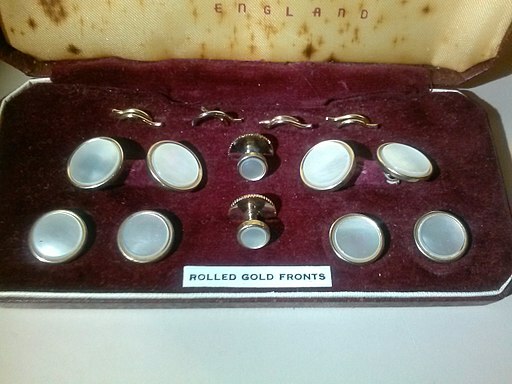 It consists of a pair of cufflinks, two shirt studs, and four waistcoat studs. Like pins and brooches, shirt studs and cufflinks were indispensable before the advent of buttons and zippers. 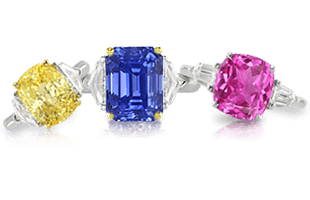 Because of their enduring role in formal menswear, they are still an important part of the jewelry market. In fact, they are often the only pieces of jewelry that a man will own—aside from his wristwatch and wedding ring. Tie tacks and money clips are luxury items for men. Tie tacks and clips have waxed and waned in popularity over the decades, but they are undeniably the mark of a gentleman. Shirt studs are small, usually metal, objects used to fasten the front of pleated or stiff front shirts. 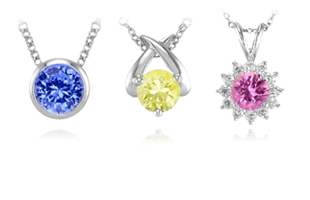 Many are designed to incorporate precious gems or enamels . Shirt studs on a formal shirt. Shirt studs emerged in the middle to latter half of the 19th century as a means to fasten the stiff shirt fronts popular in the day. At that time, gentlemen “dressed” for dinner and evening activities, and a “stiff “or “boiled” shirt was frequently worn on those occasions. The outstanding feature of these shirts was their ability to withstand wrinkling and promote upright posture. They were literally “boiled” in starch to make them as white as possible. 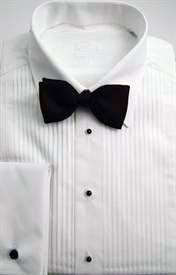 Before World War II, stiff shirts with separate wing collars were a mainstay of formal wear. Today, men’s formal wear includes a semi-stiff shirt with attached wing collar in the U.S., and a formal shirt with a fold-down collar in the UK. Shirt studs are now used for ornamental, not functional purposes. 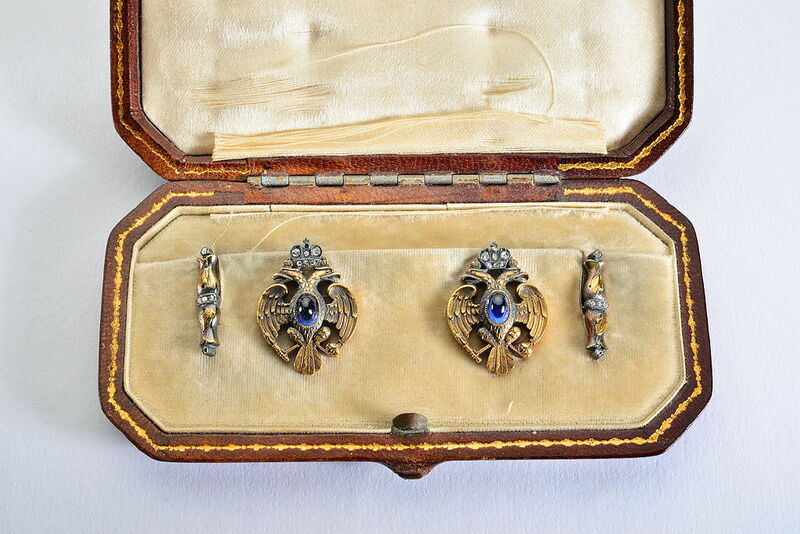 Gold cufflinks set with diamonds and sapphires, in shape of the Imperial Russian Eagle (1910). Although the starched shirt is a thing of the past, shirt studs are considered a mark of the elegant gentleman and a common feature of formal attire. Shirt studs are typically made in sets of four to six to coordinate with cufflinks. 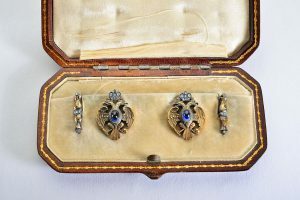 Complete stud and cufflink sets in popular styles like Art Deco are favorites with sophisticated jewelry collectors, as are old sets by renowned designers such as Cartier, Buccellati, and Fabergé. 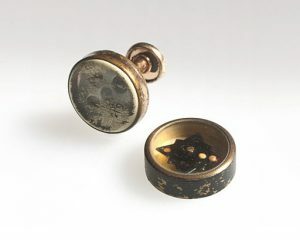 American servicemen going into harm’s way had ingenious places to conceal miniature compasses for escape and evasion, in this instance, within a pair of cufflinks. Nevertheless, it was not until the mid to late 19th century when new shirt styles promoted the use of true cufflinks. 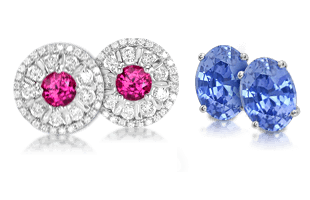 Initially an accessory of the upper crust, cufflinks have now become a centerpiece of men’s formal wear, and a striking fashion item for women as well. An example of a “kissing” cuff. Photo from Being Manly Blog. 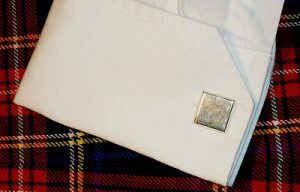 Whether intended for men or women, cufflinks are designed to be worn with what is known as a “French cuff,” sleeves that have buttonholes on both sides and no buttons. Cufflinks may be worn one of two ways: “kissing”—with the ends of the cuff pinched together, or “barrel-style”—with one end of the cuff overlapping the other. The “kissing” style is usually preferred. 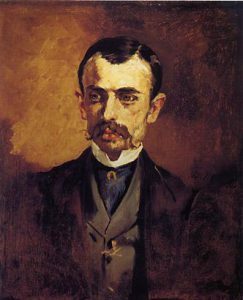 Portrait of a Man by Edouard Manet (1860). Note his cravat and stickpin. 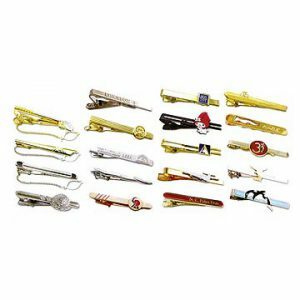 Tie clips, also known as tie bars, tie slides, tie clasps, tie tacks, or tie pins, were designed to keep neckwear in place and out of the wearer’s food. Although ties have become the premier symbol of modern executive power, they have been popular since the late 17th century. Cravats, the precursor to the modern tie, were worn from the 1660s onward. The cravat gave way to other styles of men’s neckwear, including steinkirks, stocks, scarves, and bandanas, but it was not until the middle of the 19th century that the ancestor to the modern tie, called the four-in-hand, was introduced. Four-in-hand ties were rectangular strips of cloth with square ends. Accounts vary as to how the four-in-hand tie got its name. Some claim that was because the knot used to tie the neckpiece resembled the knotted reins of the four-horse carriage used by the British upper class. 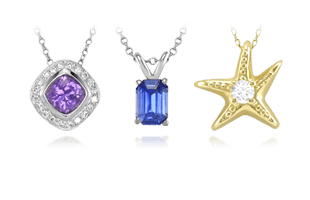 Others believe that the term comes from the fact that members of the “Four-in-Hand” Club in London started to wear their neckpieces in this fashion. 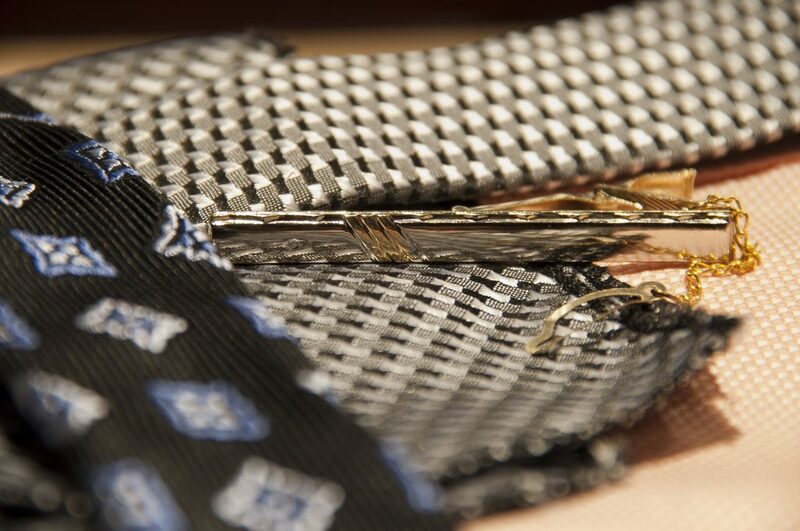 Nevertheless, by the 1870s, men were beginning to use tie pins to fasten the long tie to the shirt. In 1926, a tailor in New York, Jesse Langsdorf, introduced ties cut on the bias. This not only discouraged wrinkling common to the silks used in ties, but also made ties lie better on the chest. Because ties were now tamer, tie clips and clasps began to replace the stick-pin type of tie jewelry. 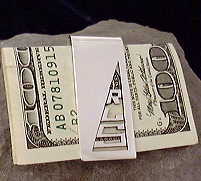 A monogrammed platinum money clip. Although today, tie tacks and clasps have fallen out of favor, for a majority of the 20th century they were one of the key features of corporate culture. They also served as conversation pieces and advertisements for companies, organizations, and political parties. A money clip is a decorative piece of metal folded in half, so that currency and credit cards may be sandwiched in between. Money clips are typically made out of stainless steel, silver, gold, titanium, or platinum, often engraved and occasionally set with gemstones. One potential disadvantage of the money clip is the fact that they are fairly inflexible and hold only limited amounts of cash. Nevertheless, they are considered the epitome of luxury for men, and have come in and out of fashion over the years. The history of men’s jewelry reveals a style we will explore next in Men’s Jewelry | A Guide to Elements of Style and Settings.